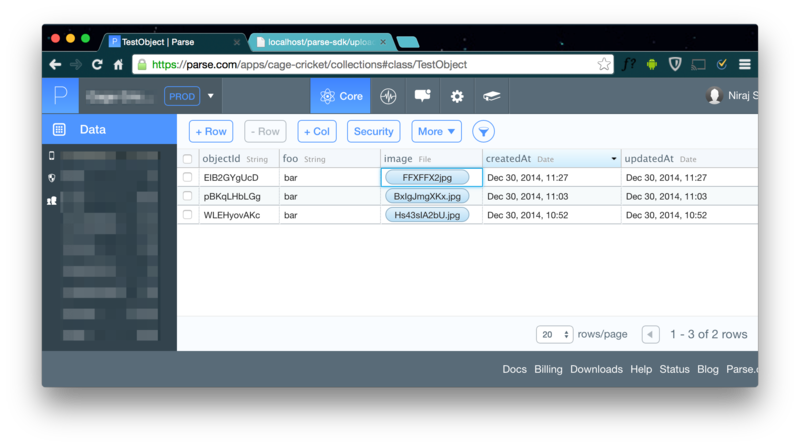 Using the official Parse PHP SDK, it’s quite easy to upload a file to Parse. I’ve received a few requests for a tutorial to cover this particular issue, so here it is. I’ve used Parse PHP SDK v1.0.4 for this tutorial, but it will work with older versions too. 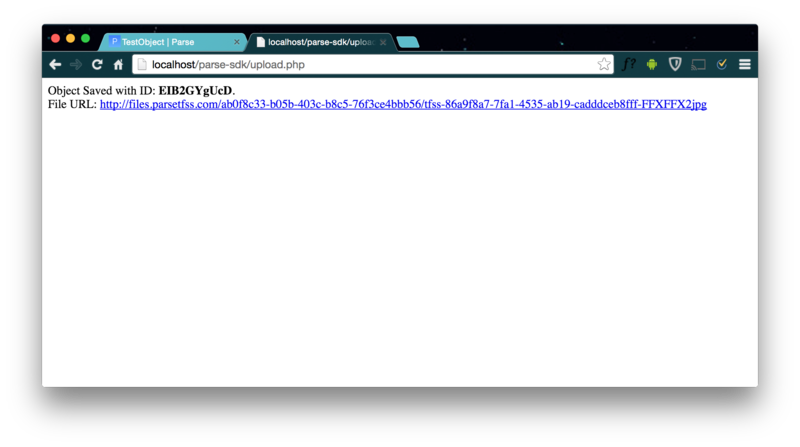 Using a simple HTML form and a few lines of PHP, you can upload a file to Parse. As we’re using PHP, the file is first uploaded to your server (in temporary space) and then sent to Parse. When you create your Parse Class, make sure one column is of type File. In my example, the class TestObject has two columns: foo of type String, and image of type File. In Parse, the class should show the uploaded file too (in my example, under the image column). You can click on the file name here to show the uploaded file too. If you experience any issues with the above code, please let me know in the comment section below. this works perfectly for image uploading and for music uploading I added this added this line below. I am trying this code but it’s showing the error about SSL certification. Are you getting this error on a local environment or on your production env? Please don’t use this in production environment. I tried the other option with cacert.pem that works fine for me.. I have this error : SSL certificate problem: unable to get local issuer certificate. I put the line: curl_setopt($rest, CURLOPT_SSL_VERIFYPEER, false); in the _request function in the ParseClient.php file but the same error : SSL certificate problem: unable to get local issuer certificate.